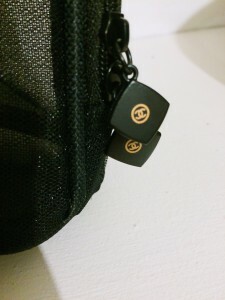 I have had the same make-up bag now for around 5 years, it was a cheap LV replica I purchased on holiday from a good old lucky lucky man and I have to say it has served me proud, however a couple of weeks ago the zip finally gave in so I hopped on the computer and headed over to my new favourite website Ioffer - a full review of this website can be found here! 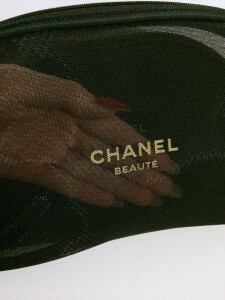 Yesterday the delivery man made my day when he handed over my parcels and I spotted the china postal label, I decided I would go for the set of 3, black Chanel PVC make-up bags - although there was so many designs to choose from. They were only £14.00 for the set and I was really pleased with the quality and the size! 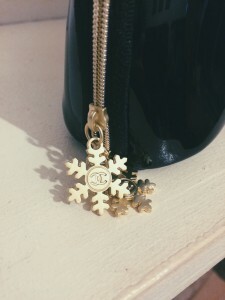 The gold snowflake zips are very good quality and even have the Chanel logo. 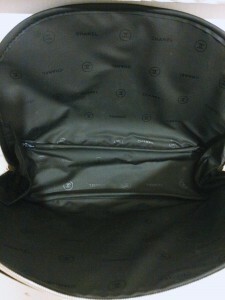 The inside is fully lined with the Chanel logo print. 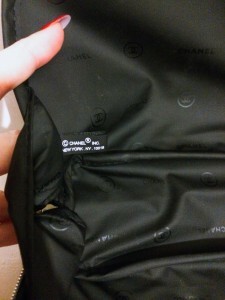 And there is also a Chanel label inside which makes it a rather good quality replica. Whilst I was online and choosing my design my mum happened to walk in and asked me to get her a set too, but she couldn't decide between a black Chanel mesh 3 piece set or a smaller velour YSL pouch - so she decided to do what I usually do and buy both! 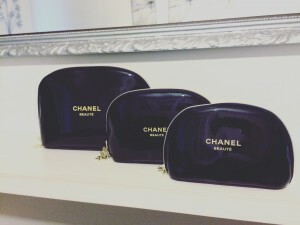 This is the Chanel set my mum purchased for £7.63 - again really good quality and an even better price. The zips again are fully branded. 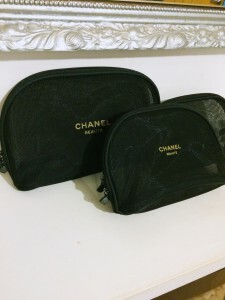 Obviously there is no lining in this set but I do really like the mesh cosmetic bags and they will look great when they are filled with lots of beauty goodies. 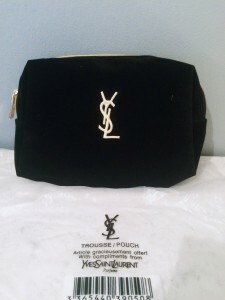 Above is the YSL pouch my mum purchased, I'm not sure the picture does it justice because it is a lovely dark blue velour material and was purchased at the bargain price of £3.85 - it is on the small size but perfect to store the basics in a small bag for an evening out! 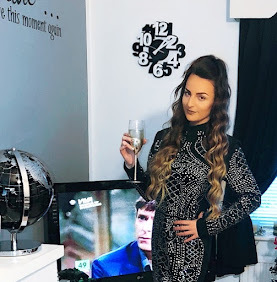 What's your make-up bag like?